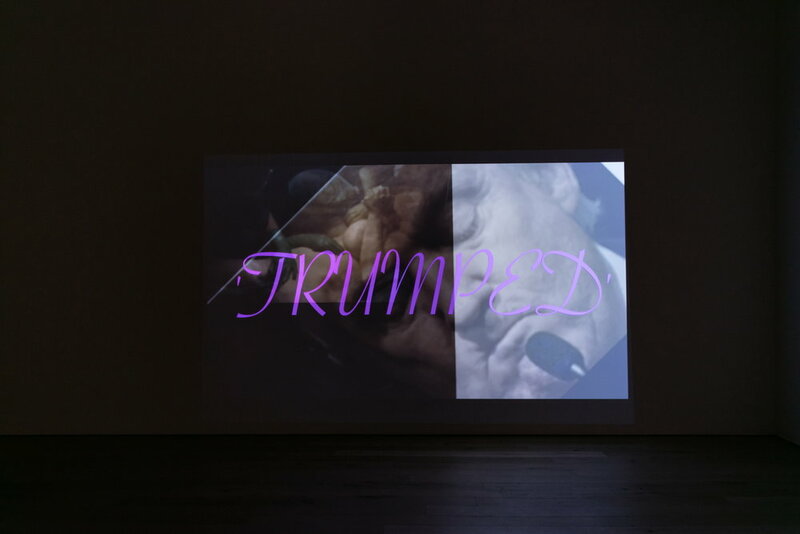 Martos Gallery is pleased to present Michel Auder’s second solo show with the gallery, And virtually everything said has been said incorrectly, and it's been said wrong, or it's been covered wrong by the press, on view June 15 – August 3, 2018, which features his new film TRUMPED (2018), a mural of new photographs. Michel Auder (b. 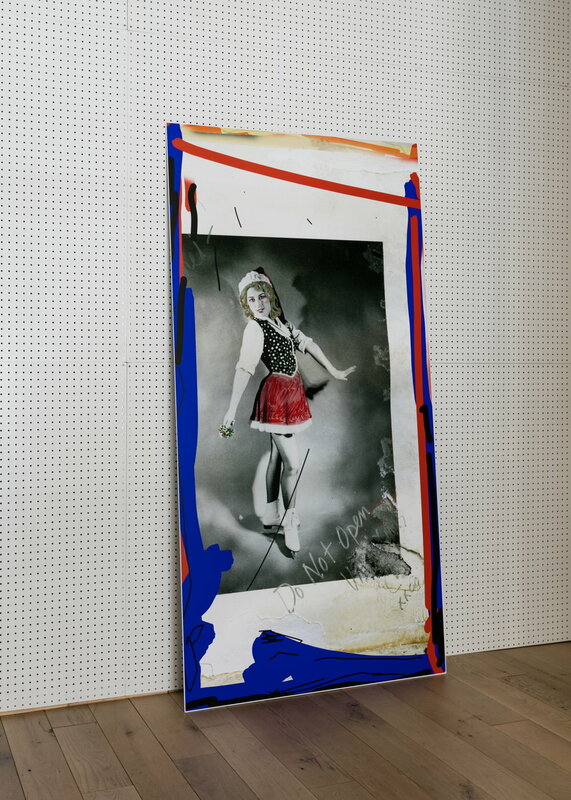 1945 in Soissons, France) is an experimental video and photo artist who currently lives and works in Brooklyn, New York. Select exhibitions and film screenings include: “Fictional Art Film”, Gavin Brown’s Enterprise, New York, NY (2019); “And virtually everything said has been said incorrectly, and it’s been said wrong, or it’s been covered wrong by the press”, Martos Gallery, NY (2018); Documenta 14, National Museum of Contemporary Art, Athens, Greece and Kassel, Germany (2017); “Portrait of Alice Neel”, presented by David Zwirner, The Kitchen, New York, NY (2017); “Roman Variations”, Gavin Brown’s Enterprise, Rome, Italy (2017); “Everybody Knows”, Martos Gallery, New York, NY (2015); “The Whitney Biennial”, Whitney Museum of Art, New York, NY (2014); “Michel Auder”, Foundation Vincent Van Gogh, Arles, France (2015); “Mixing up the Medicine”, Kayne Griffin Corcoran, Los Angeles, CA (2015); “Michel Auder: Made In New York, 1968-2014”, Anthology Film Archives, New York, NY (2014); “Michel Auder: Video Pieces” Marlborough Chelsea, New York, NY (2014); “Screen Life #13 & Polaroid”, Office Baroque, Brussels, Belgium (2013); “Stories, Myths, Ironies, and Other Songs: Conceived, Directed, Edited, and Produced by M. Auder”, Kunsthalle Basel, Basel, Switzerland (2013); “Endless Column and Narcolepsy”, Galleria Fonti, Naples, Italy (2011); “Keeping Busy: An Inaccurate Survey of Michel Auder”, Zach Feuer Gallery in collaboration with Newman Popiashvili Gallery, Participant Inc NY, and Volume2, New York, NY and Los Angeles, CA (2010); “Michel Auder: Chronicles and Other Scenes”, Williams College Museum of Art, Williamstown, MA (2004); “Voyage to the Center of the Phone Lines”, Nicole Klagsbrun Gallery, New York, NY (1994). He was an artist-in-residence at Berliner Künstlerprogramm, German Academic Exchange Service, Berlin, Germany (2016). Auder’s works are in the permanent collections of Centre Georges Pompidou, Paris, France; Stedelijk Museum, Amsterdam, Netherlands; FRAC Provence-Alpes-Côtes d’Azur, Marseille, France; Kadist Art Foundation, Paris, France; Brandhorst Museum, Munich, Germany; Muhka, Antwerp, Belgium and Anthology film Archives, New York, NY.